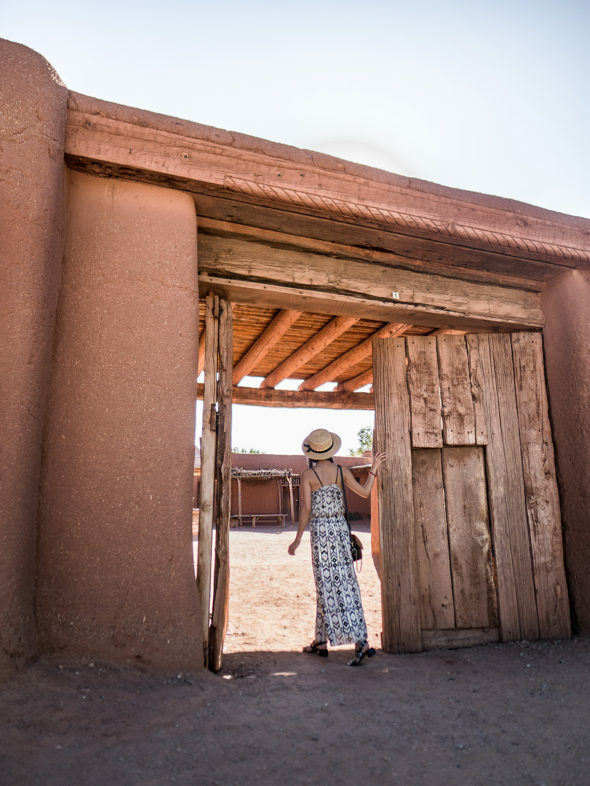 I recently had the pleasure of visiting Santa Fe for 3 nights and immersed myself in the Southwestern culture of New Mexico. The first hotel that I stayed at was Sunrise Springs Resort. 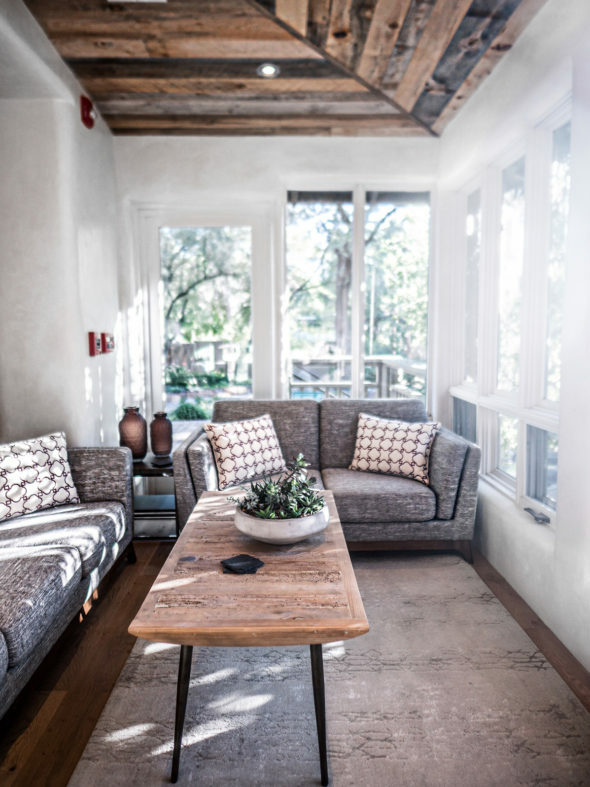 Sunrise Springs Resort is a great place to stay if you’re truly looking to unwind and unplug. 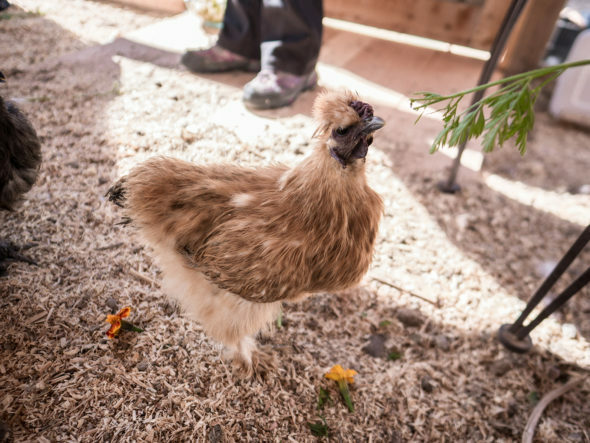 The rooms don’t have TV’s, but fret not because there’s an array of activities that you can do onsite from playing with Silkie chickens to visiting the greenhouse. It was my first time petting chickens and their furs were so fluffy and soft! They let you hold them in your arms too and we fed them flowers and dried mealworms. Out of all the activities available to us, this one was definitely my personal favorite. After petting the chickens, I made a pit stop to the greenhouse next door. 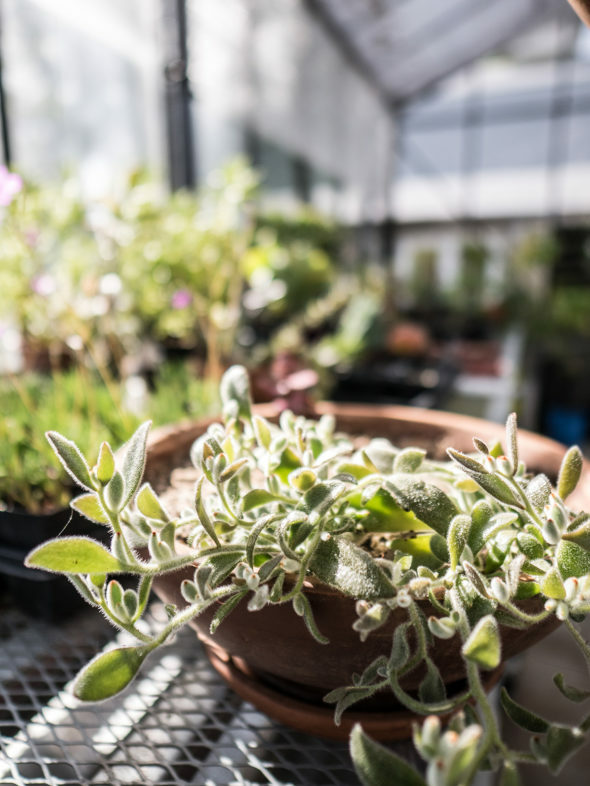 There were succulents, flowers, and vegetables here and they provided some fresh veggies for us to sample too. The vibe here was super quaint and adorable! 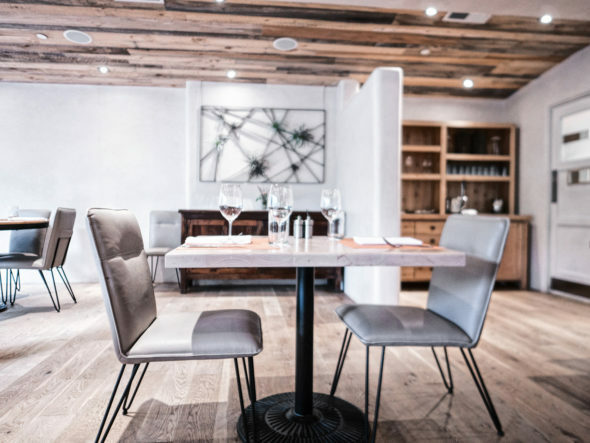 The resort is 25 minutes away from Downtown and there isn’t a whole lot of restaurant options until you reach Downtown, but the restaurant on the premise of the resort is absolutely delicious. Chef Rocky Durham served us such flavorful dishes and it’s actually my favorite restaurant that we dined at during our whole trip. 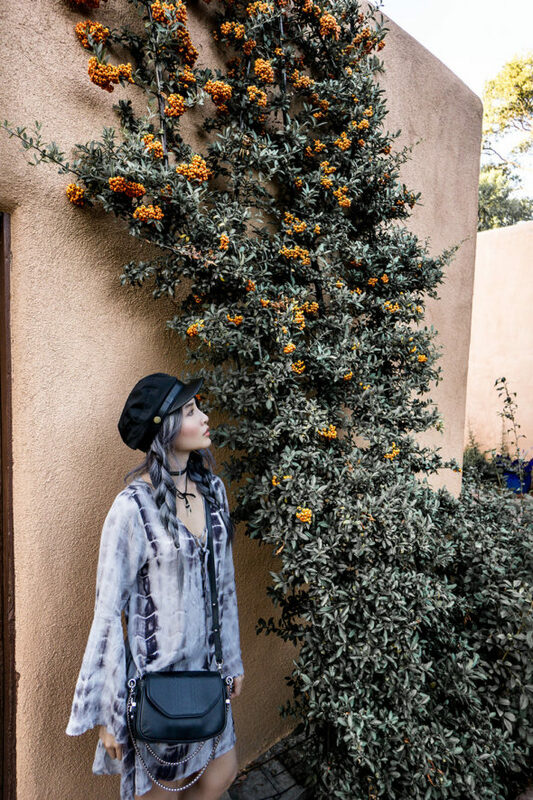 Santa Fe has a lot of greens, making it the perfect getaway location to reconnect with nature. There were so many fresh blooms on every corner I turned. When we made our way to Downtown, we also stopped by El Rancho De Las Golondrinas, which was on the way. 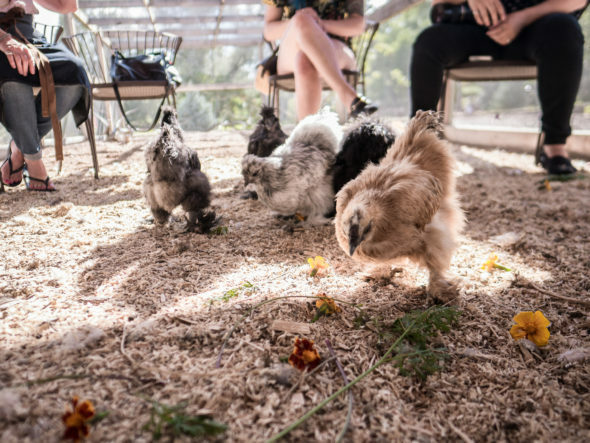 This was a historic ranch that became Southwest’s Premier Living History Museum in order to preserve the legacy of the land with the traditions and culture of New Mexico’s Hispanic heritage. 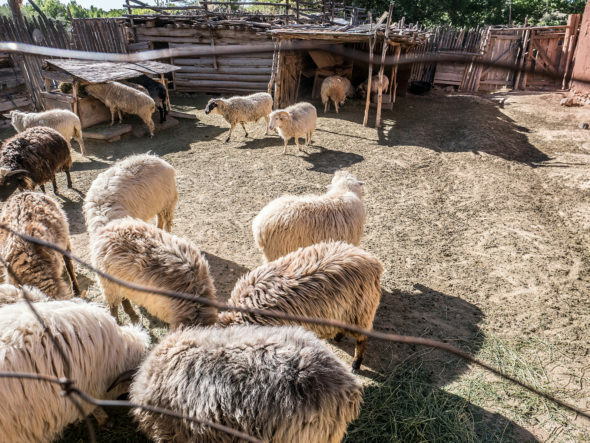 It’s located in a rural farming valley and showcases examples of life during the period when Spain ruled in the North and Central American continent. 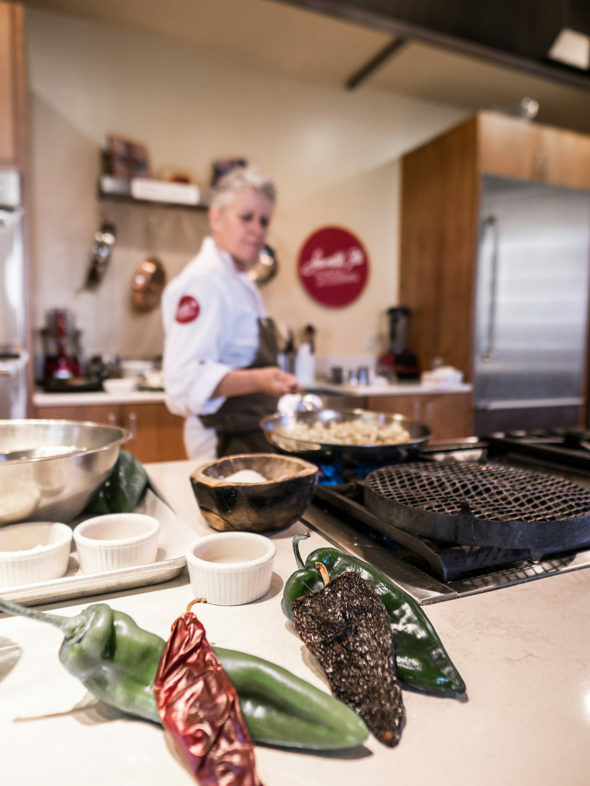 For lunch, we actually cooked and dined with Santa Fe Cooking Class. This was my first time taking any sort of cooking class and it truly was a delightful experience for me. 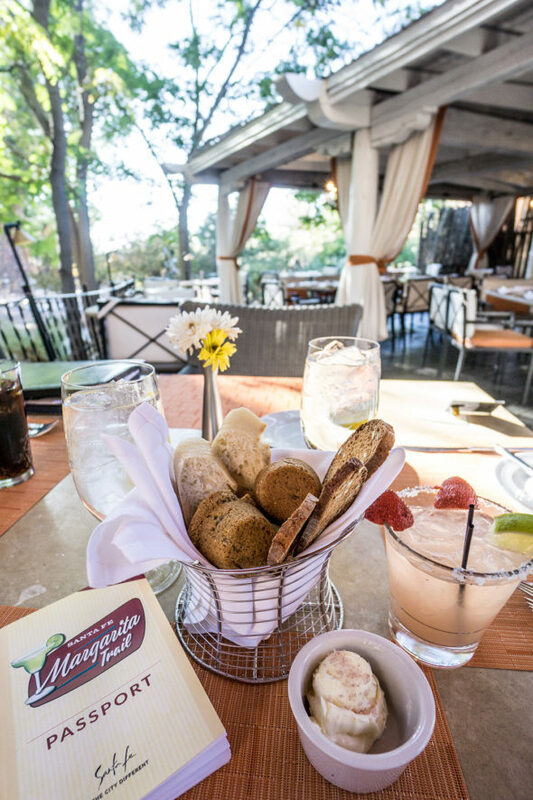 Santa Fe cuisine is heavily influenced by Mexican and Spanish traditions. 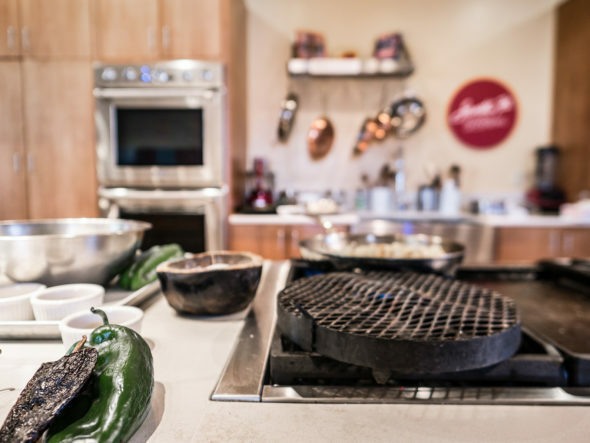 The chef shared with us an in-depth discussion of the various fresh green chile in Santa Fe and we prepared 3 different types of tamales: chicken, duck, and apple dessert. The following day my friend, Rachel and I checked in at Inn and Spa at Loretto, which is located in Downtown. We received a tour of their spa, which looked so amazing and we wanted to book a massage, but sadly couldn’t because of our busy schedule. 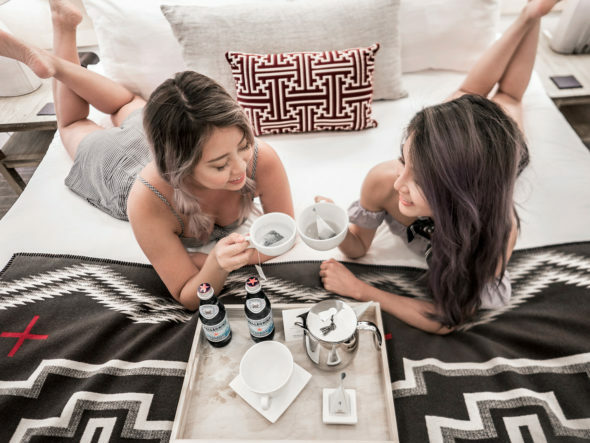 They create their very own custom-crafted essential oil aromatherapy blends depending what your needs were and I received a sample for destressing. For the afternoon, we enjoyed margarita tasting for the Santa Fe Margarita Trail. Rachel and I ended up sharing a glass of Strawberry Jalapeno Margarita. The jalapeno definitely adds a kick to this drink and is a recommendation for those who love spicy food. Next, we visited Canyon Road to look at beautiful sculptures and art galleries. 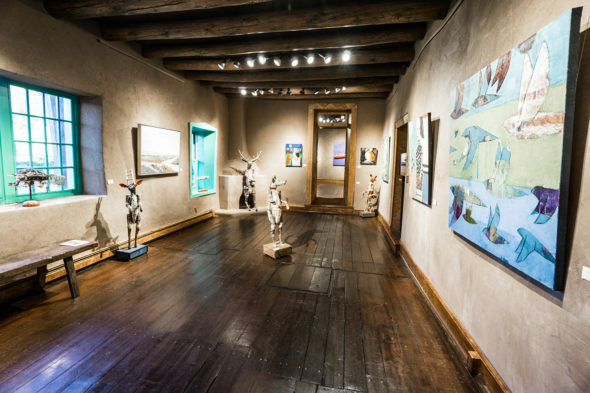 There is a combination of the Old World and the 21st Century with the art collection here and all the artworks made are very diverse, yet unique to Santa Fe’s aesthetic. 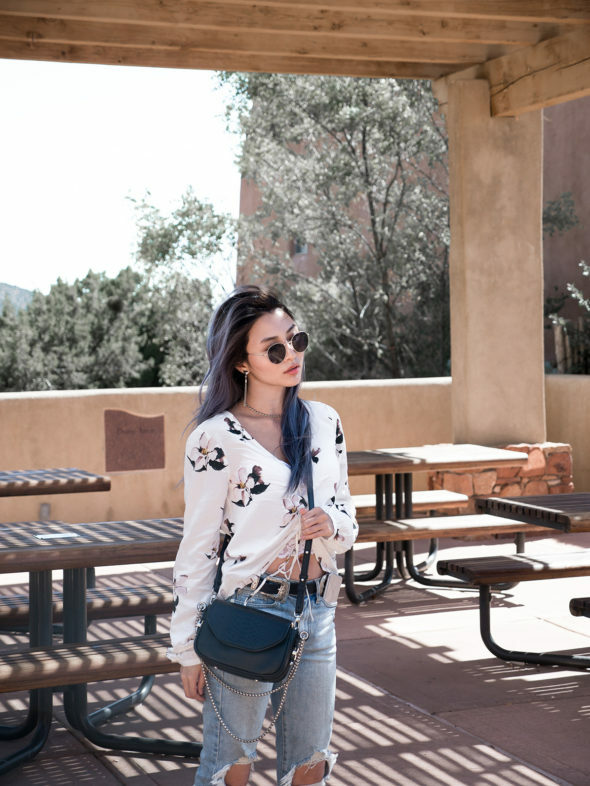 The next morning, we started out our day by exploring the historic Plaza area, which has a lot of boutiques for jewelry, accessories, clothes, textiles, and other fashion finds. 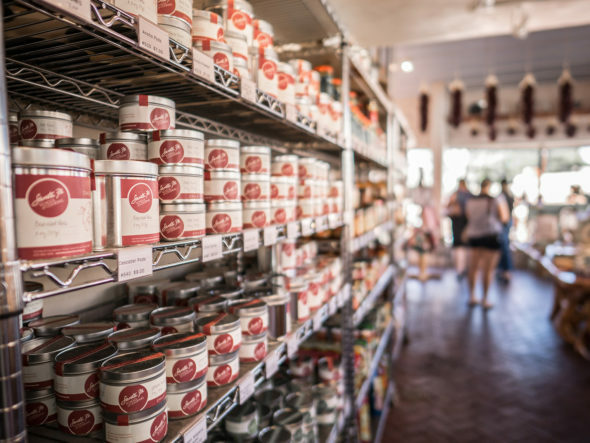 My favorite store that we visited would definitely have to be Patina Gallery. Their jewelry pieces were so creative and versatile because they are constantly importing jewelry pieces from different artists. 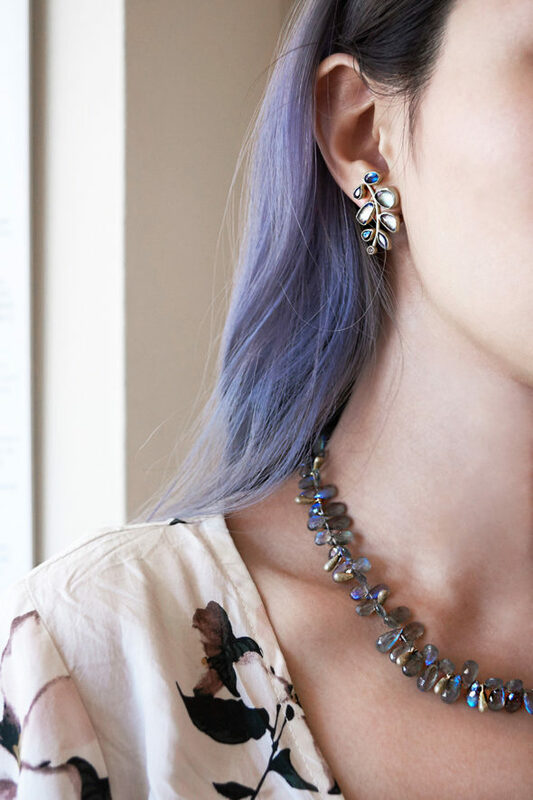 I tried on this necklace and these earrings together, since I thought they would really complement my metallic blue hair. The earthy design of the necklace reminds me of water droplets, while the structure of the earrings resemble a plant. For lunch, we dined at Museum Hill Cafe and I ordered smoked duck flautas with mango dipping sauce, which was absolutely delicious. For the remaining of the day, Rachel and I explored the rest of the historic Plaza and took our time taking as many photographs as possible. 3 days was such a short stay for us. Rachel and I will definitely be back to New Mexico again for the Albuquerque International Balloon Fiesta, which takes place in October. It’s on our bucket list to ride a hot air balloon and New Mexico is a closer option to us than Turkey. El Rancho looks like such a great place!!! Wish I could go there! Beautiful photos! Glad you had so much fun! I love your photos so much! I watched your video on how you edit your photos. 🙂 Thanks for sharing. I am glad you had a great time!! The pictures are really nice and you look wonderful! 🙂 Loved reading the post! The animals are so cute! And I love your photos too! It looks a cute city and that you had a great time! Nice video! This is beautiful! Looks like such a great place to unwind/relax!! Thanks so much for sharing, makes me want to go there! Looked like such a great trip. I love the different spots you hit. The rustic and Spanish decor is in that one spot is really cute. You looked great in each outfit too!